Another one of my ex-colleagues has started up his own business in Ipoh. I am so proud of him! 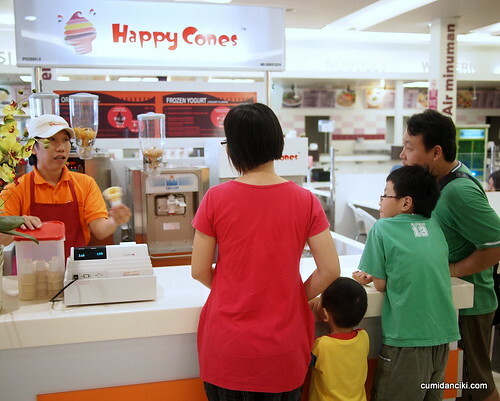 It’s called Happy Cones and they are in the business of making ice-creams and yogurt fixes for everybody! OK, maybe not everybody but mainly Tesco shoppers and visitors from KL or outside Ipoh, like moi. 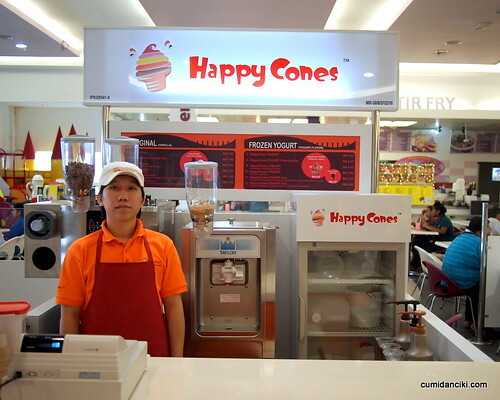 Presenting Happy Cones! 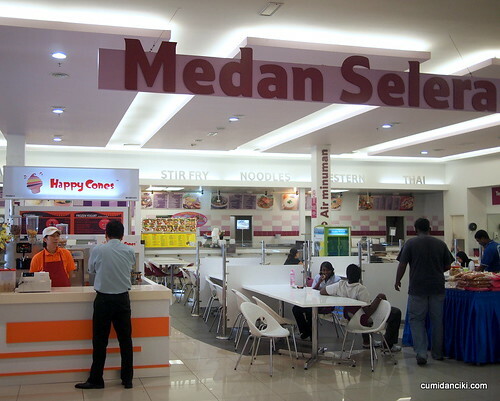 That’s right, this place is situated just as you enter Tesco Extra, right in front of the Medan Selera (Food Court). 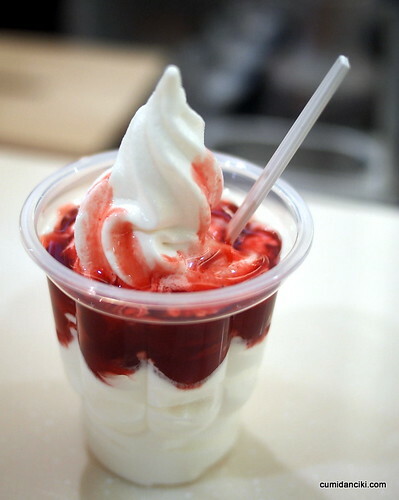 What so great about this ice-cream? 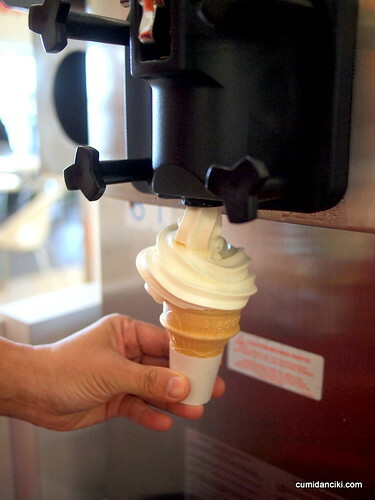 Well, I actually love the milky, creamy texture of the vanilla ice-cream. 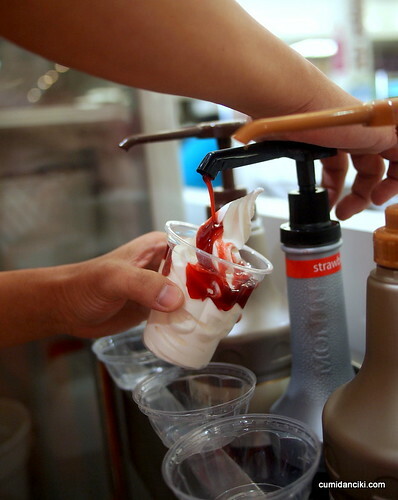 The Happy Sundae Yogurt comes with toppings of berry, chocolate or caramel to chose from and costs around 5 ringgit, is even cheaper than Tutti Frutti, but tastes just as good. 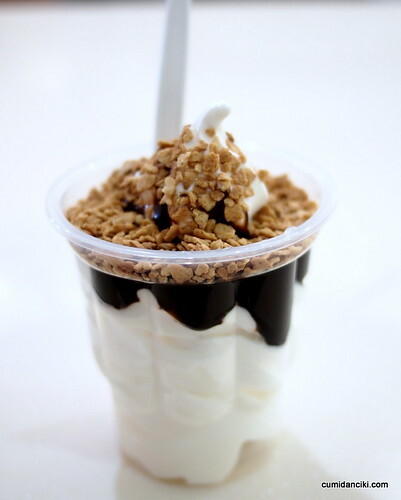 The Berry topping goes well with yogurt .. but I had mine with chocolate because I am a choc addict. Still tasted great though. 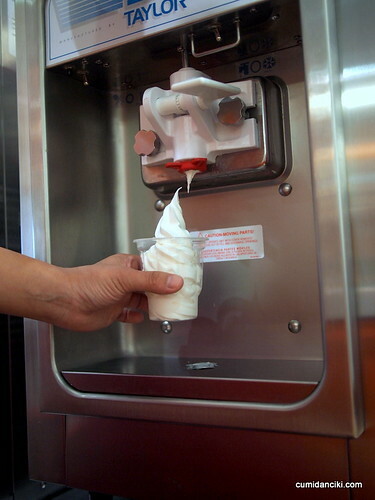 Approximately RM5 for the sundae yogurt with topping. Add some crackle n pop.. He made us eat all this! Great for the family with kids..
Great for shoppers catching a breather. 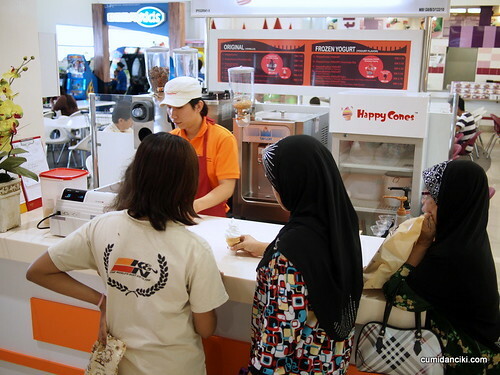 All ice-cream served at Happy Cones is certified HALAL. 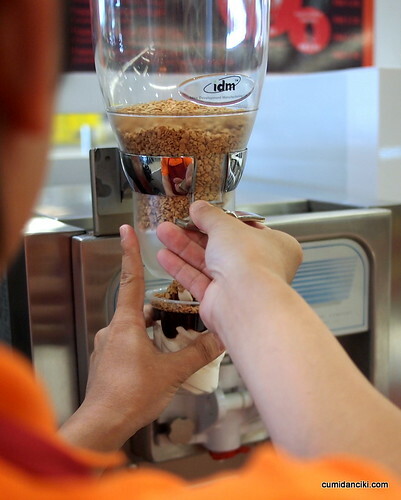 Located outside the Medan Selera of the Tesco Extra entrance, Ipoh. i agree. 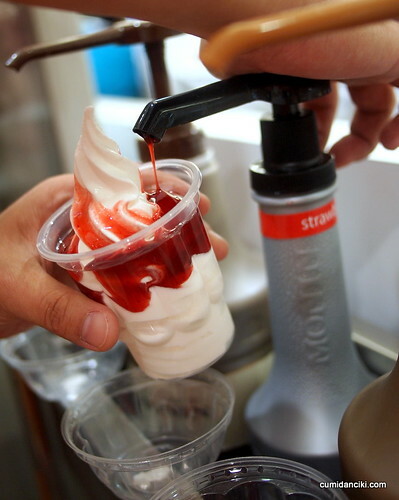 the location is excellent and the ice cream is good! 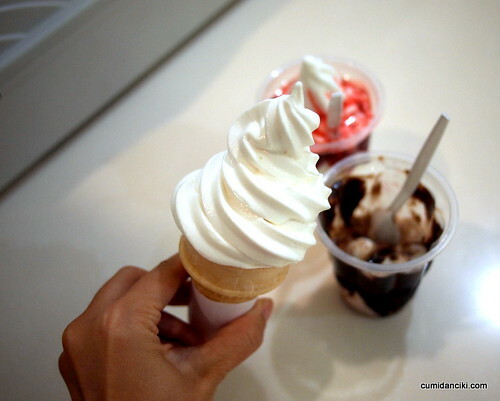 Perfect name, ice cream always make me happy! thehehe..i’m the one who designed his menu(only the menu, not the logo).but it was changed when i went there a couple days ago..it’s kinda degrade..i bet mine was better..LoL..!